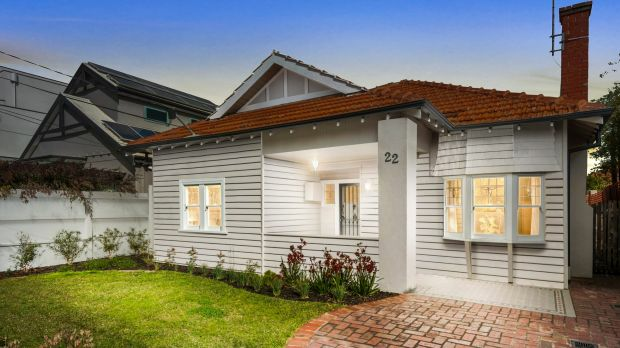 Domain’s expert guide to the best properties on the market in Melbourne this week. When it comes to prime real estate close to top-flight schools, this A-grade inner-east property on 1136 square metres is first-class and a fence line away from Scotch College campus. 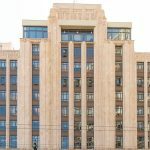 “It is the perfect home, a Scotch parents’ dream, particularly for a family with three school-age children,” its agent says. The Briars boasts 1890s establishment pedigree and prestige 21st century smarts, thanks to its impressive intact facade and a five-year-old renovation and extension that delivered an enormous poolside patio and barbecue area, marble kitchen and voluminous open-living zone. 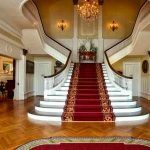 An oak parquetry lined hallway, chandeliers, grand spiral staircase, ornate ceilings and fireplaces won’t go unnoticed. Neither will its north-facing rear al fresco area with wall of timber-framed bifolding glass doors. The private upstairs level offers four bedrooms and a retreat with city views; the main bedroom and a guest room, both with en suites, are found at ground level. The Yarra River is less than 200 metres away and the tram stops at the end of the street. Manhattan’s Meatpacking District meets Middle Brighton at this hip, renovated art deco. The creative baby of the husband-and-wife team at Roam Architects, this establishment-suburb house now has an artsy “wine bar vibe” sure to go down equally well with professional couples and families, its agent says. A pool, spa, main bedroom wing and zoned children’s area, dual Euro ovens, bespoke cabinetry and sculptured steel stairs standout. One of only four luxurious apartments in Mathoura Residences, Wintergarden occupies a prime 400-square-metre perch on the upper level. Its lavish scale dishes house-like proportions. Features including its open-plan kitchen-living-dining with fireplace, European appliances and dedicated reading zone, an in-built Ziegler & Brown barbecue, covered terrace, private elevator and library. 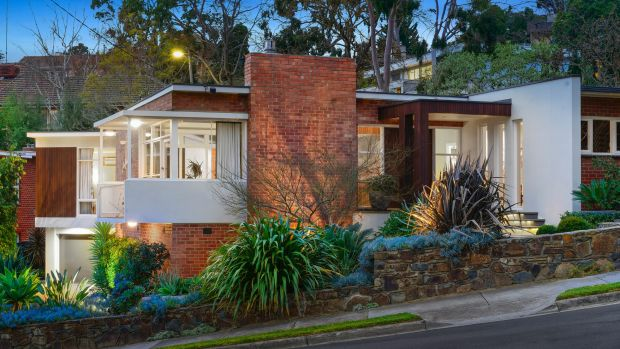 Modernising this modernist masterpiece with expertise and painstaking care, the vendors paid tribute to its mid-century riverside enclave and eminent architect C. Victor Dumbrell [correct], while elevating its liveability to luxury levels. Connected formal and casual living rooms (above a vast rumpus/home office) look out to treetops and dramatic landscaping. The bedroom wing is set at an angle to hug the entertainment terrace. 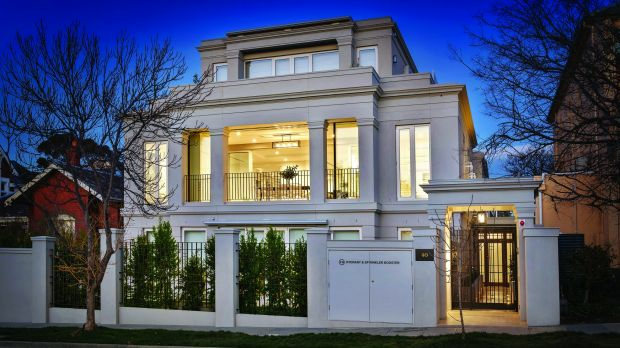 Opulent and authentic finishes, hi-tech inclusions and Studley Park proximity give this property special status. 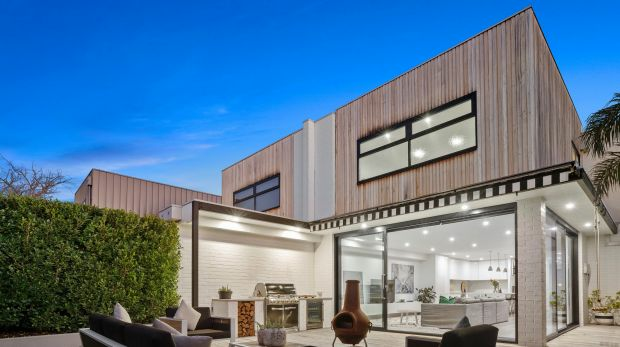 This two-storey townhouse, dressed in graceful greys and double-glazing, has been home to its husband-and-wife developers since they completed it 18 months ago and sold its pair. 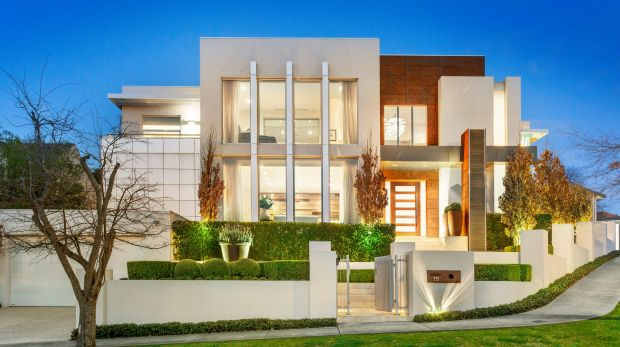 “The design and interior are personalised with rooms more spacious than usual,” the agent says. Wide oak floorboards in the 11-metre-long, living-dining zone meet an expanse of grey decking timbers that obviate mowing duties, making this family home a low-maintenance proposition. Walk to Cruickshank Park, Sun Theatre and Yarraville station’s cluster of cafes. With a lot of love and labour — including hand-cleaning 5000 bricks from demolition for re-use as feature walls – the vendors created this showstopper family home out of a tired semi-detached brick house while retaining its art deco and Spanish Mission flourishes. Kitchen marble meets timber, polished concrete meets a covered deck, and oversized glazing in the contemporary extension is defined by black steel. 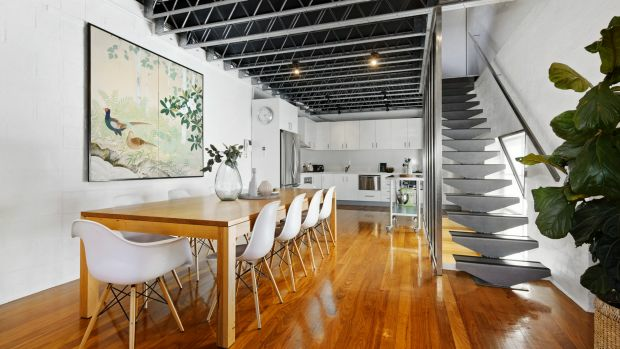 The property’s width allows a steel-spine staircase to double as a lightwell. The property faces the Capital City Trail’s linear park. “People are bringing out their rugs and picnics to enjoy the outdoor space,” the agent says. This former worker’s cottage offers more than its physical parts —cute facade, practical floor plan, renovated interior and north-facing courtyard with car space. 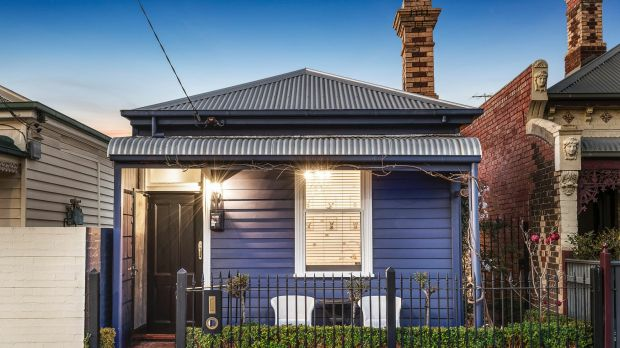 This gem with dark-stained floorboards and open-plan living area is handy to Church Street and Bridge Road tram routes and eateries. Priced and packaged for buyers upsizing from an apartment or downsizers seeking minimal maintenance, this homely Californian bungalow is easy to like. 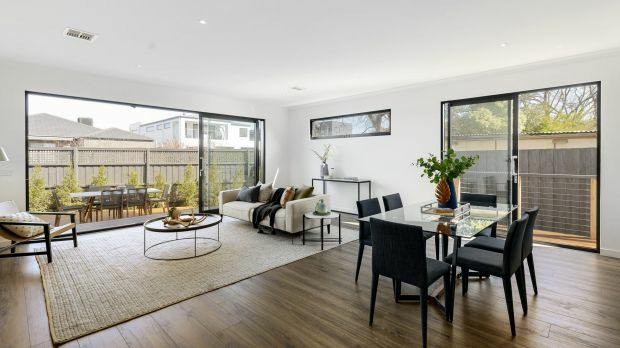 For a start, its 373-square-metre block is among “lovely neighbours”, the agent attests, in a quiet cul de sac just metres from tram routes going north-south and east-west and Glen Huntly Road shops. 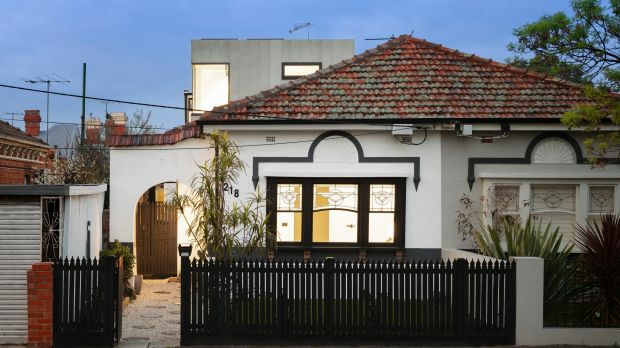 It features lovely stained-glass windows in all three bedrooms, renovated kitchen and bathroom, full-width rear verandah and a separate studio/shed. 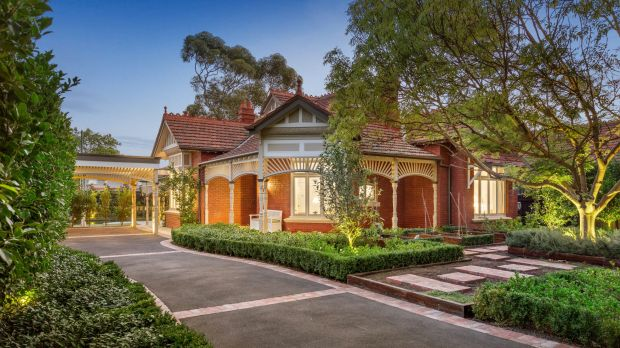 This has “the good life” cemented in its Edwardian brick mortar. Built about 120 years ago, this warm and sun-filled residence has since had a full renovation. Today, it boasts several family friendly areas, including a magnetic casual living and dining addition with immediate access to a gourmet kitchen, all overlooking manicured garden, pool and spa. 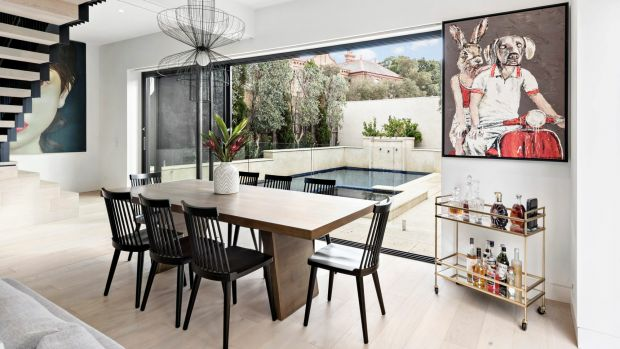 Its 883-square-metre block has ample room for its adjoining double carport and massive outdoor entertaining terrace complete with barbecue fixture and pizza oven. Pitched ceiling lines, bay windows and skylights flood interior spaces with natural light. The main bedroom is a treat with its own walk-in room, en suite and storage room. Gascoigne Estate’s shops, public transport and fine public and private schools are found within a kilometre. Here you find “a really good entertainer’s home”, its agent says, and there is no reason to doubt it considering this house presents a bevy of human-friendly features including a front garden, central position near parks, schools and shops and inviting open-plan family and dining room linked to a gourmet’s kitchen. Also found is a six-star energy rating. 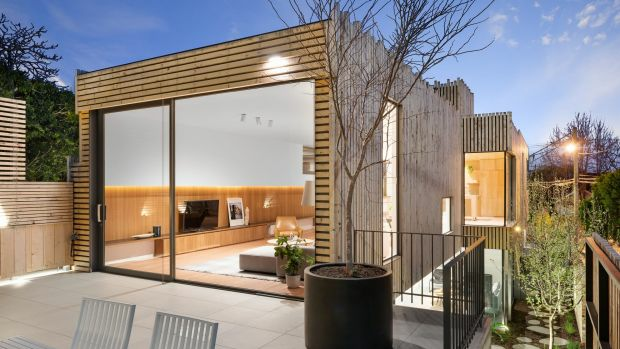 A tidy example of contemporary housing with a smart, flexible floor plan, this townhouse has a lot going for it. Tucked on a quiet street between buzzing Jasper and Centre roads, details including a pontoon-style deck, landscaping, walk-in pantry, double-doors to a fourth bedroom and upper level of bedrooms, bathrooms and a retreat, speak to a low-maintenance, high-comfort lifestyle. You will struggle to find any missing bells or whistles at this real estate version of a symphony. You will find double storeys of modern family home on a plumb corner block less than 200 metres from Balwyn High School. Lofty ceilings set the mood. There is a premium home cinema, gym, rumpus and a pool with its own pool pavilion, pizza oven, dishwasher and drinks’ fridges. An architectural fit-out gives this 1936 former cardboard factory opulence — timber stairs, Miele kitchen, marble-tiled bathrooms and laundry — while retaining slabs of original flooring and steel beams that highlight a six-metre ceiling. A paved terrace with vertical greenery meets parquetry at double-glazed doors. Glass manufacture was once the bottom line here; now it’s quintessential industrial-chic city-edge living. 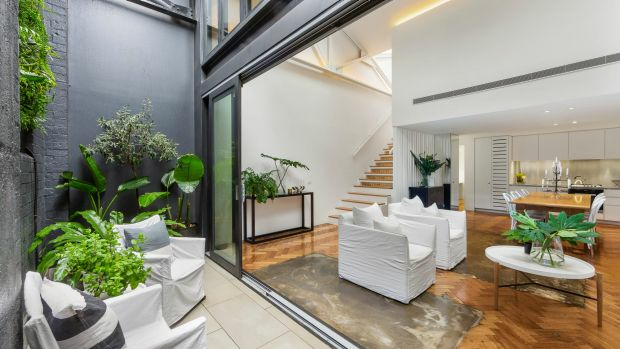 This corner terrace of the row converted in 2006 has steel trusses and exposed silvery insulation, first-floor living area and white kitchen, and city views from the main bedroom’s private rooftop terrace.